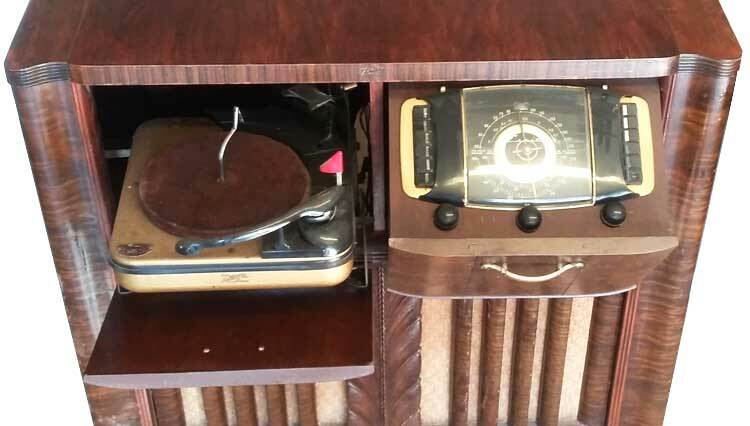 This monstrously large Zenith 12-H-090 boasts a wide range of capabilities, including playing records automatically, playing AM, shortwave, and even FM! 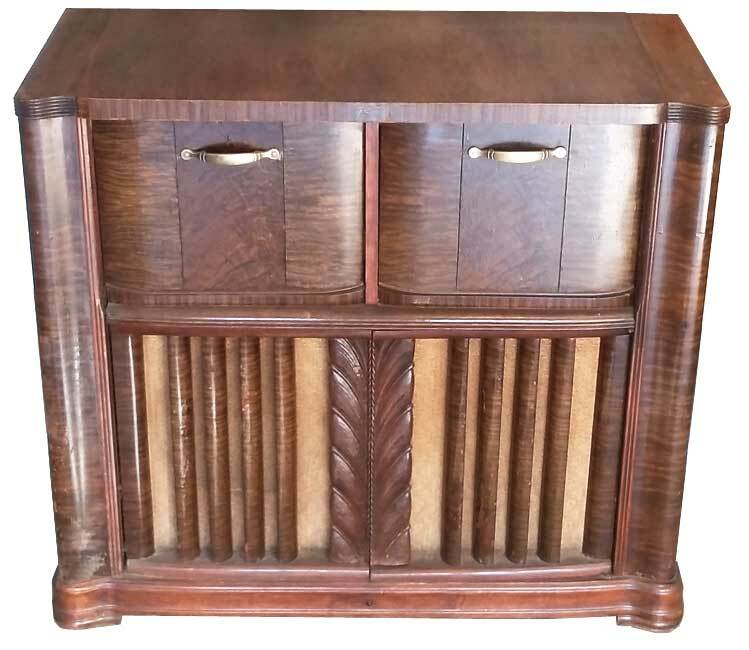 Although this sounds like a technological marvel for 1947, the cabinet certainly was not commendable because of the extensive amount of "photo finishes" used on it. "Photo finishes" are made by using paper printed with expensive-looking wood patterns that covered cheap wood and these finishes generally degraded over the years. Fortunately, the "photo finish" on my Zenith was mostly intact.